Thirty years ago, in 1989, the Iron Curtain fell, the socialist regimes collapsed, and new democratic countries were formed – a development that also proved a catalyst for the evolution of Jewish life. The Jewish communities in these countries had been decimated by Shoah and faced, to varying degrees, restrictions and even repression. After the transition, a general interest in Jewish history, culture and tradition grew. Jewish sites were made visible and imbued with new life. Young Jews began to discover their roots and research the Jewish histories of their families, their towns and cities, and their countries. Pluralist Jewish identities emerged, mirrored by the myriad activities of newly-formed groups, institutions, and communities. These developments were shaped by the rediscovery of Jewish heritage and by encounters with Jews from other countries and cultures and their diverse expressions of Jewish identity, as well as by the efforts of international Jewish organizations. Much of the work toward the renewal of Jewish life was done by women. More and more, questions gained importance regarding the role of women in Jewish life, egalitarianism in the synagogue and in the community, and the heritage of Jewish women. The excitement of the new-found freedom of the 1990s was a major impetus for the organizers of the first Bet Debora conference twenty years ago in May 1999 in Berlin, which brought together women rabbis, cantors, rabbinical students and Jewish supporters of all genders—the first gathering of its kind in Europe. Women stand at the bima together with men, on an egalitarian basis. This past decade, a fascinating development has taken place in European Jewish life; increasingly, women are exercising important ritual functions. There are women rabbis in London, Paris and Oldenburg, as well as in Moscow, Minsk and Budapest. What does this mean for Jewish tradition and continuity? What impact do these women have on religious practices? Which topics have moved to the foreground? Which new challenges do we face? Twenty years later, three decades after the fall of the Iron Curtain, we want to pose these questions again. We want to celebrate our gains and identify present challenges at a time when democratic values are increasingly being called into question. The conference will also provide an opportunity for an inside view into Jewish life in Belgrade. 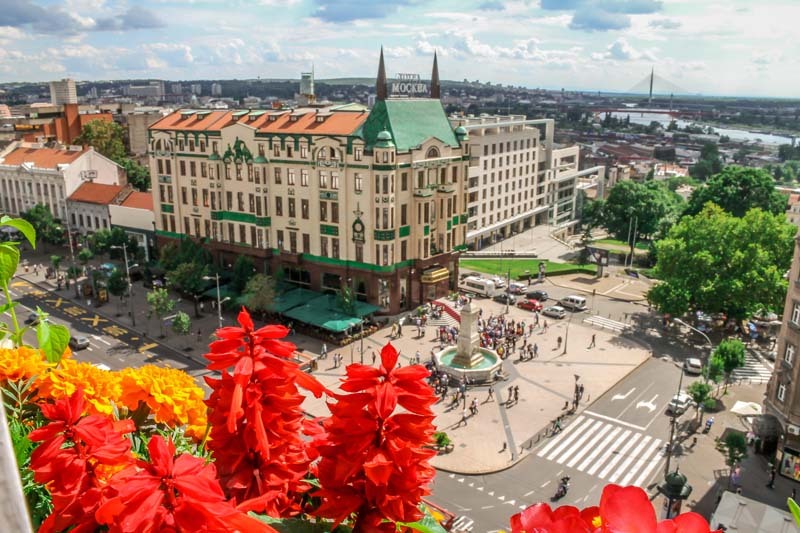 There are so many interesting facts about Belgrade, one of the oldest cities of Europe. This Balkan treasure lies on the rivers Sava and Danube and will charm you with its modern style and historic sites. No matter what kind of person you are, you will definitely find something that will amaze you in Belgrade. It’s the city that never sleeps with a long history that is a blend of Roman, Ottoman, Austro-Hungarian and Socialist culture and tastes. It is a city that has had 15 different names over time, the first ever kafana in Europe, is the birthplace of Novak Djokovic, the no. 1 tennis player in the world, and the home of Nobel literature prize winner Ivo Andric. Belgrade boasts one rabbi + Chabbad, one kosher kitchen, one synagogue, and one community where people don’t worry about who is Ashkenazi and who Sephardic. It’s a place where life is celebrated every single day, where rakia runs like water and whose hospitality is biblical. The conference is jointly organized by Haver Srbija and Bet Debora.